In just a weeks time I turn 22, oh how I've been looking forward to the day where it's entirely necessary to listen and sing '22' repeatedly throughout the day. I unfortunately haven't got any plans for my birthday cos, you know, work n' all. Stocktake day happens to fall on my birthday too. Is that just bad luck or planned? wahh. The joys of working in retail. However, I have a week off after so maybe that's not so bad after all. A week of pure bliss, or maybe not, when I have a cheeky little one year old to take care of. This year I feel like I haven't got that much on my list for my birthday, or those that I do really want are just not available in the UK, yet. Can we please get a Sephora here now already? With that aside, let's get down to the nitty gritty. What's on my birthday wishlist this year? The first thing that I reeeaally want need in my life right now is the Anastasia Beverly Hills Pro Series Cream Contour Kit in Fair. 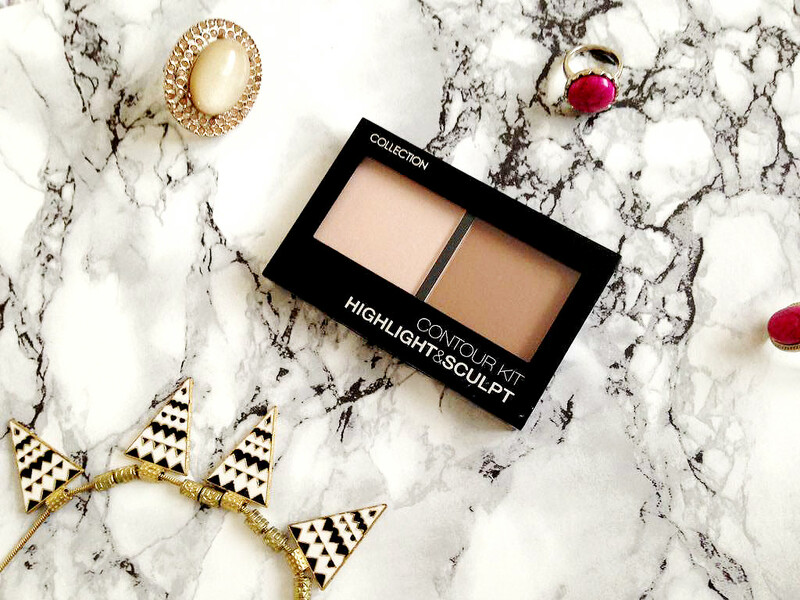 I've had it on my wishlist for what seems like forever but never purchased it because if I'm honest, the thought of using a cream contour scares me. I'm so used to using powder. However, this palette has the most perfect shades for my skintone which I love. 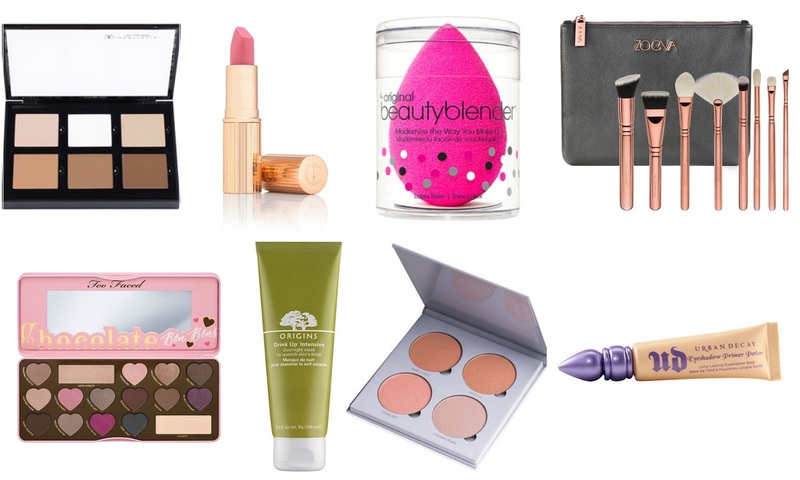 It wouldn't be a birthday wishlist without Charlotte Tilbury would it? The new Charlotte Tilbury Matte Revolution lipstick in 'Between the Sheets' caught my eye ever since it's release. It is such a pretty rosey-pink shade. It's so me. I've never tried any of the CT lipsticks so it would be a welcome addition to my ever growing lipstick collection. I used to have a Beauty Blender over a year ago which I received in my birchbox, but unfortunately I just never used it and passed it onto my sister. Oh how I regret that now. I feel like it would work so much better to blend in my foundation than my current blending brush. 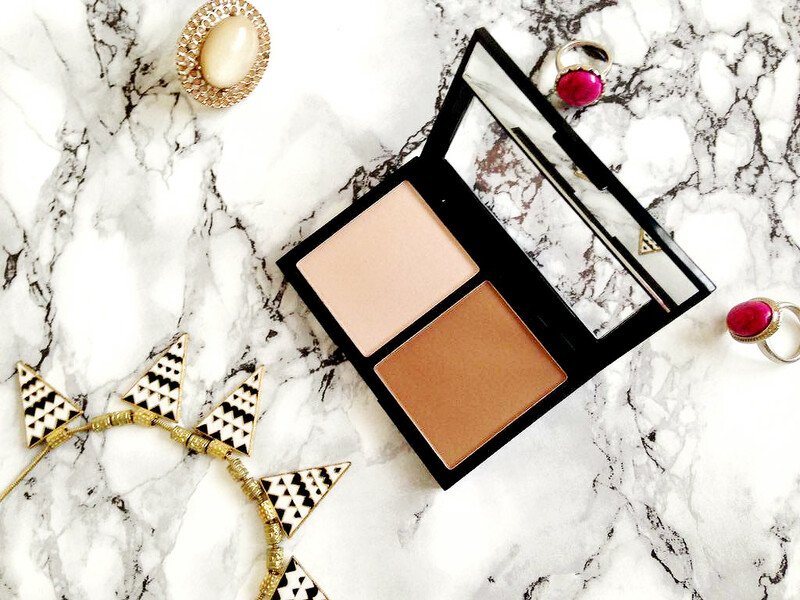 It can be seen as a little expensive for what is essentially a sponge but I need to achieve that flawless skin look. For the love of makeup I cannot remember where I first seen the new Zoeva Rose Gold Vol 3 Brushes but it was love at first sight for me. I am yet to purchase the Vol 1 brushes but oh my, these look even dreamier. An eyeshadow palette that I've been lusting over since it's release is the Too Faced Chocolate Bon Bon Palette. I have the original chocolate palette and I adore it but this particular palette is what my dreams are made of. 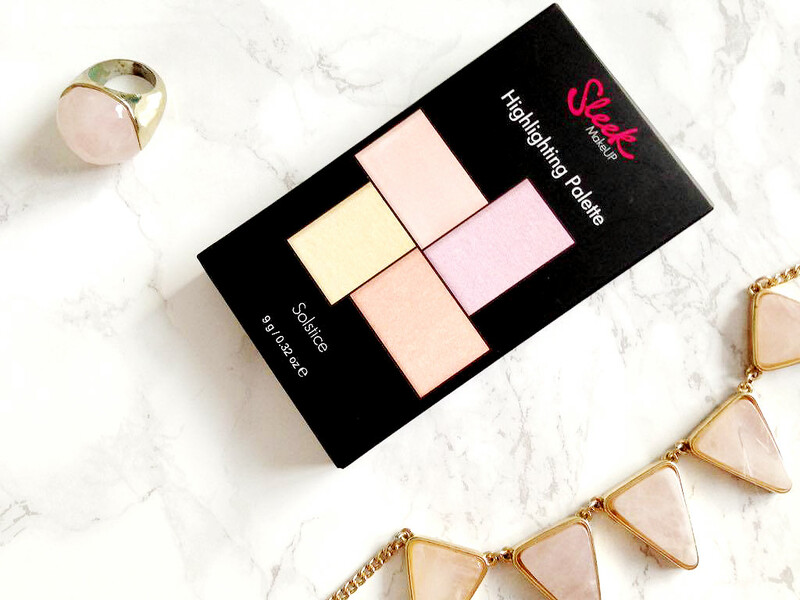 It is all kinds of pretty with it's pink packaging, heart shaped eyeshadow pans and beautiful range of matte and shimmer shades. The only skincare product on my wishlist is the Origins Drink Up Intensive Overnight Mask. Again, it's one that I have been wanting for so long. It smells absolutely divine and I feel like it would be the perfect mask to use when my skin is looking and feeling lacklustre and dehydrated. You know how much I love my highlight so of course the Anastasia Beverly Hills Glow Kit in Gleam had to be added onto my wishlist. I am aware that it's not available in the UK as of yet but the amount of youtube videos I've watched with this particular palette in is seriously insane. It makes me want it even more now that it's not available in the UK. Lastly is the Urban Decay Eyeshadow Primer Potion in Eden. I tried a few samples of this primer potion which came with my Naked Palettes and I absolutely loved it. 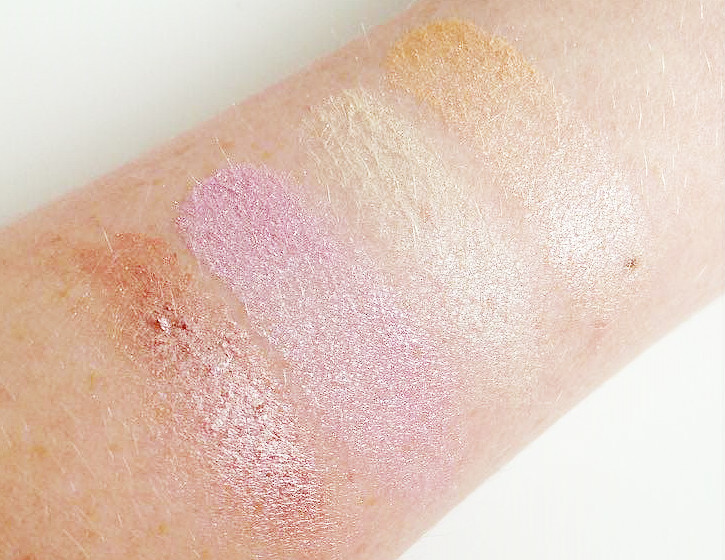 My eyeshadow always stayed intact for hours, plus it did a fab job of covering up any veins and discolouration I had. Is it your birthday coming up? What's on your wishlist? 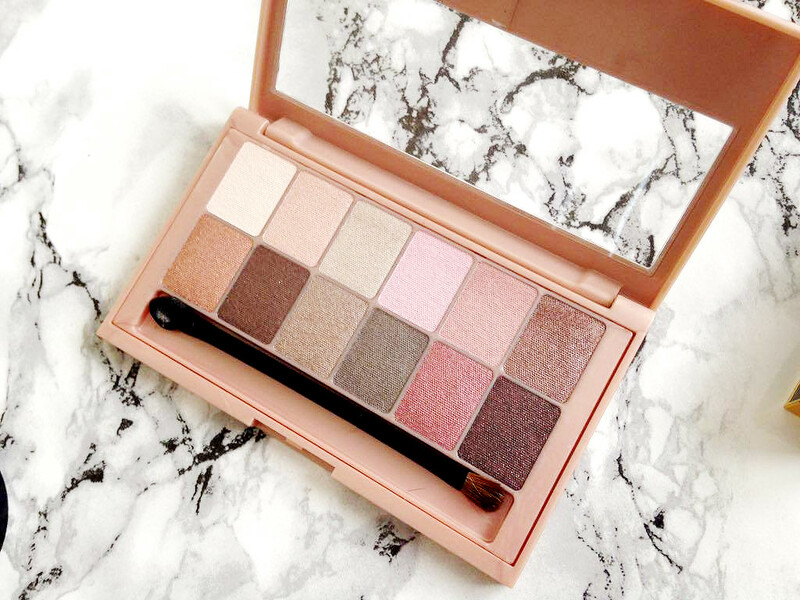 Eyeshadow palettes have recently become somewhat of an obsession lately and one of the recent additions to my eyeshadow collection is the Maybelline The Blushed Nudes Palette. I first spotted it on Maybellines Instagram when it was released in the US and I knew I had to have it. As always, it was released in the US first but since then I have been eagerly awaiting it's arrival in the UK. As of a few months ago it finally touched down in my local Boots and I couldn't contain my excitement so I purchased it ASAP. 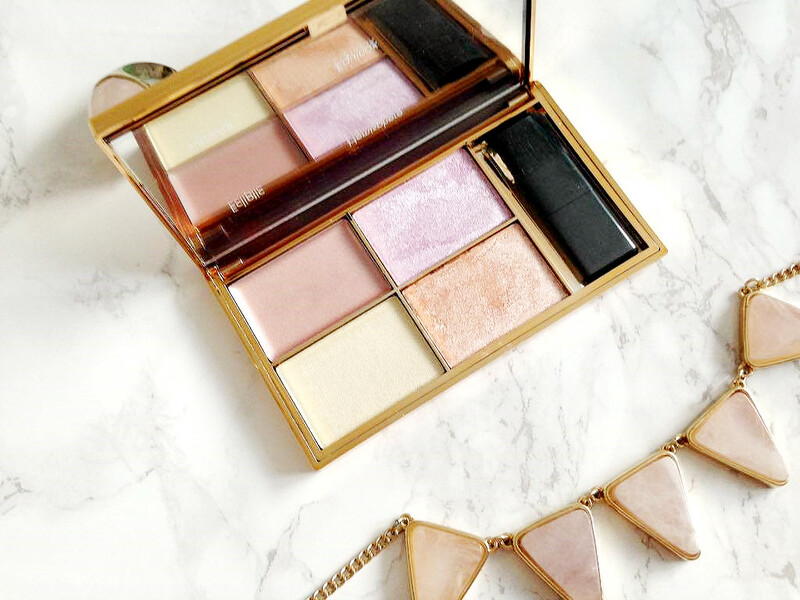 Who could resist that beautiful rose gold packaging? I for one could not pass up on that. The palette is of course not the most practical, being plastic, but there's no damage to the palette itself or the eyeshadows. Perhaps not the most travel friendly palette either but it's certainly budget-friendly, costing only £9.99 from Boots. Within the palette, aside from the eyeshadows is also a duo eyeshadow 'brush' with a sponge applicator on one side(urgh), and the other being a base eyeshadow brush. Again, that's just pretty useless and shall be going in the bin. In the Blushed Nudes Palette is a total of 12 neutral eyeshadow shades, ranging from a pretty pink matte to a glittery peach and bronze shimmer. 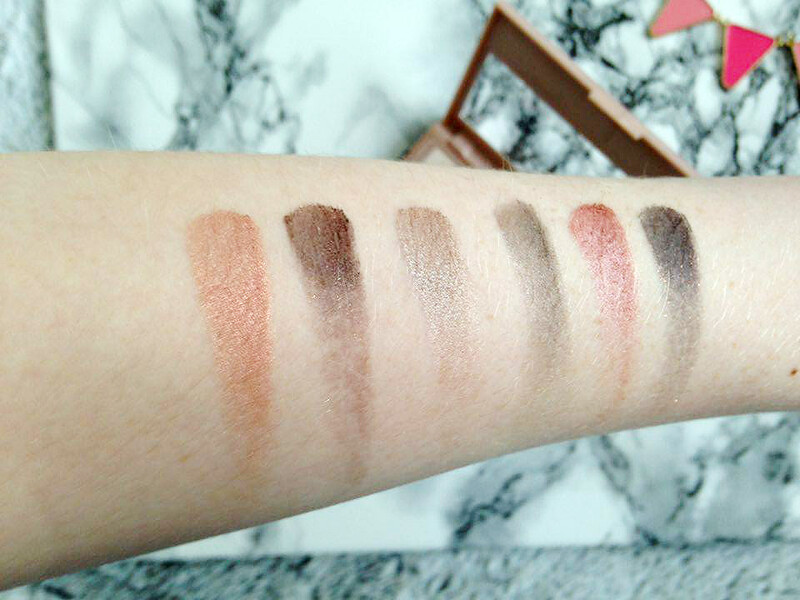 I can only liken some of the shades to those from the Naked 3 Palette. My particular favourites are on the bottom row, first from the left, and second from the right. The first is a beautiful antiqued gold and the other is a cranberry/plum shade. They are both equally incredible as an all over colour. I guess you could say that the bottom row is the best of them all. Each eyeshadow is buttery soft and pigmented, although there are shades that need building up a bit more, particularly the mattes. As always with eyeshadows I tend to wear an eyeshadow primer underneath to prolong wear and I cannot express enough how much it is needed, especially underneath these eyeshadows. Without a primer they wouldn't last past the 2 hour mark, if that, until they start fading and creasing, especially the shimmer shades. 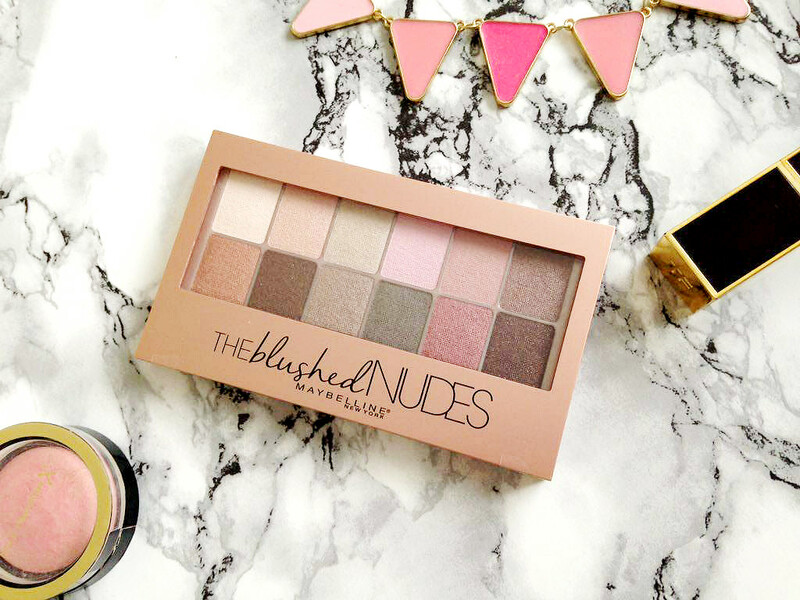 If you're saving the pennies then I think the Maybelline The Blushed Nudes Palette is a wonderful dupe for the Urban Decay Naked 3 Palette. 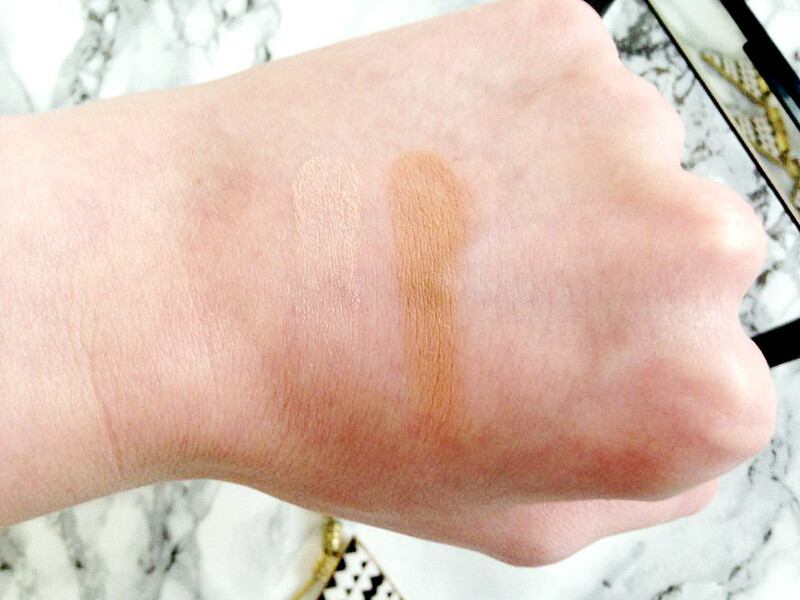 Although it's not as pigmented as the latter it is definitely one for those that are just starting out with eye makeup. 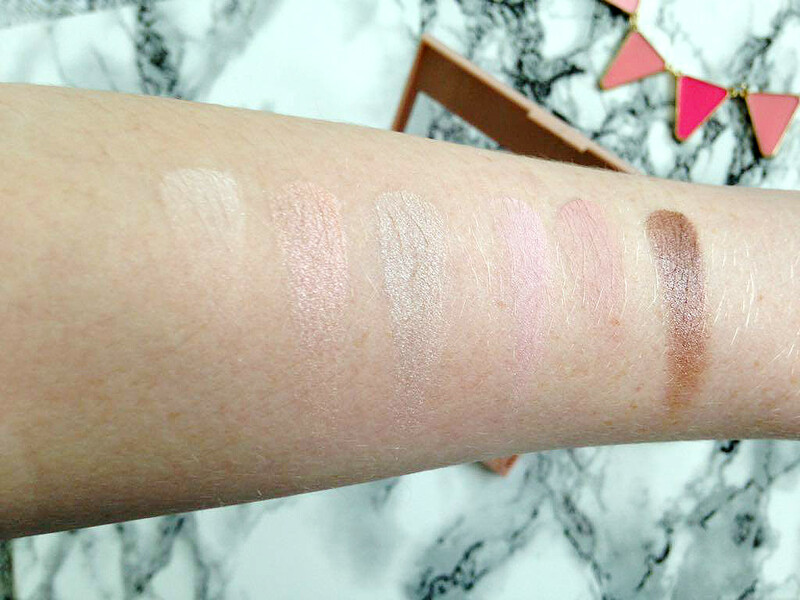 You can purchase the Maybelline The Blushed Nudes Palette from Boots here. At the moment there is £2 off selected Maybelline products which means this beaut is just £7.99 instead of £9.99. It goes without saying that Lush is my bae. Last year my obsession with Lush began and there's no sign of me stopping just yet(see my latest valentines lush haul here). If there is one thing that you need in your life right now it is this wonderful bottle of pink goodness, the Lush Comforter Moisturising Shower Cream. It was firstly only exclusive to the Oxford Street store but as of a few months ago they rolled a few of their exclusive products out nationwide, and I couldn't be happier. For those of you that are familiar with the Comforter Bubble Bar, well, this is essentially the same, but in liquid form, and boy is it dreamy. With a blend of sweet cassis, bergamot and almond oil, it's certainly not one for those that have a sensitive nose. 'Like a cuddle in a bottle, cypress oil, cassis absolute and bergamot oil create an uplifting, reassuring fragrance'. As a fan of the comforter bubble bar, I obviously knew I was going to like it, but the difference is the shower cream has added skin benefits. As a moisturising shower cream, it lathers well, and leaves your skin feeling soft and nourished. I'm guessing that's down to the almond oil working it's magic. That signature blackcurrant scent gets me every time. It's strange for me to say that though as I absolutely hate blackcurrant. The taste of it, the smell of it, eurgh, no thanks. Clearly that's not the case with this though. I dare you to go into a Lush store and not pick it up. I very much expect you will fall in love with it. It's fruity and sweet and yes it might be a little intense, but if you're a sucker for sweet scents then I'm sure you'll enjoy it. Be warned though, as it's pink it can get a bit messy but that's not something that can't be sorted. I've been using it just over a month and I can't get enough of it. I have the 250g bottle and it doesn't look like it's going to run out anytime soon. It's also available in a range of sizes from a small 100g to a whopping 1kg costing between £4.95-£27.95. My 250g bottle cost £9.75 which is pretty reasonable, especially as it will last me a long time. 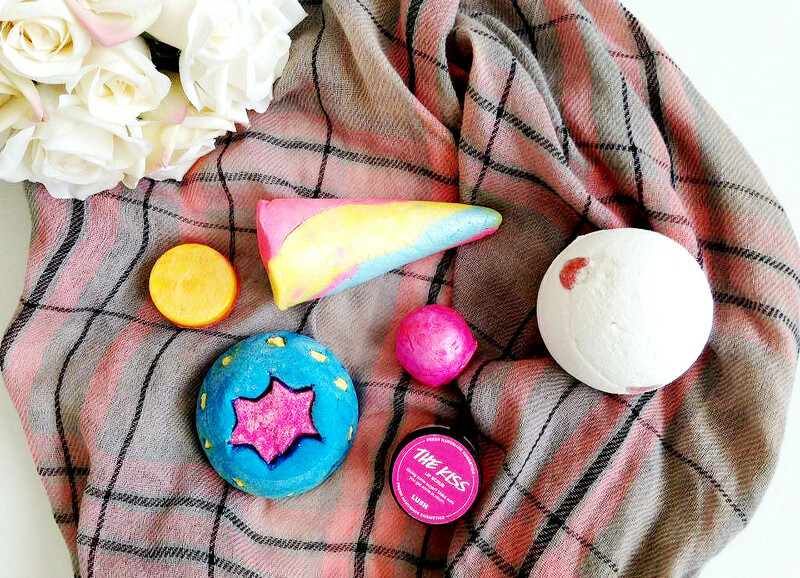 Have you tried the Lush Comforter Moisturising Shower Cream? Okay, so before I go babblin' on about how bloomin' amazing the NARS Lip Pencils are I've gotta draw attention to my blogging schedule. A few weeks ago I vowed to stick to a schedule, posting between 2-3 days a week on a Thursday, Friday and Sunday. Well that didn't last long and I went off grid again. However I've now changed the Thursday to a Wednesday recently(if you noticed) which is a lot easier. 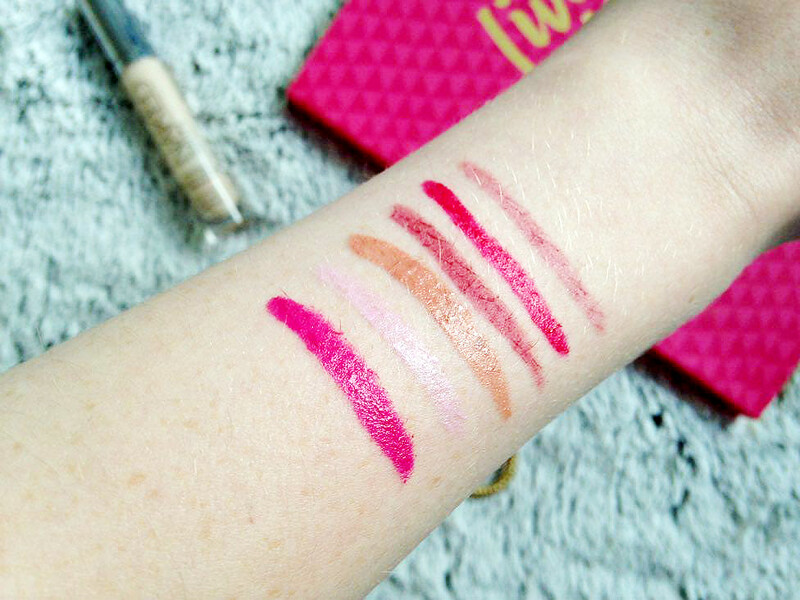 With that aside, just look at these lip pencils. It's love. 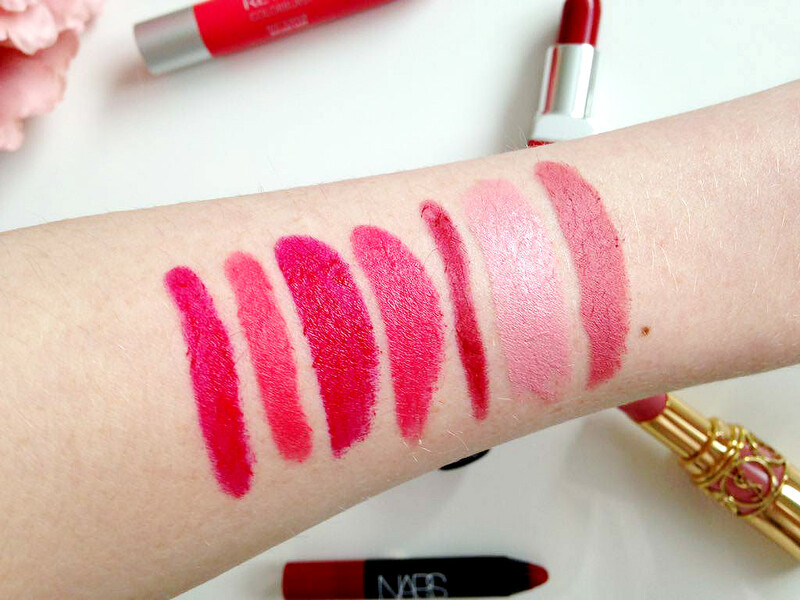 I only started dabbling with NARS Lip Pencils around two years ago when they released the Digital World Lip Pencil Coffret, including dinky lip pencils in a variety of shades. However, I wasn't quite obsessed with them at the time, I was more into my MAC lipsticks and such like. 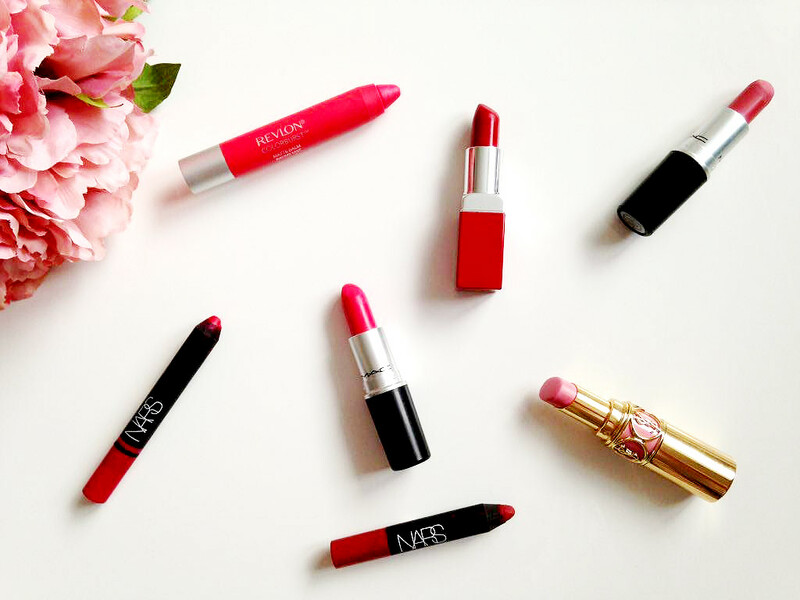 Everything changed last year when NARS released their limited edition lip pencil sets in the summer(see review and swatches here), alongside a new cheek palette. The lip pencils have different formulas and finishes to them, which I like, so you have a bit more variety. You can either choose from a Satin, Velvet matte or Velvet. Satin gives a very intense colour pay off while adding some much needed moisture to the lips. The Velvet Mattes leave a completely matte finish with a long wear time but without feeling drying. The Velvets are so dreamy and creamy to apply, leaving a beautiful, juicy glossy shine behind. There is no lack of pigmentation, it's full wham bam, thankyou mam. Very out there, and although they're quite intensely pigmented that's not to say they're not wearable. On show are the lip pencils from the Summer Gifting Sets from 2015, all of which are well loved, but I'm missing my favourite winter shade, Cruella from the Coffret. Boy is that the most beautiful shade. A little bit vampy but not overally so and surprisingly so wearable. I'm completely hopeless at describing shades *hands over fave emoji*, however they're all so gorgeous, especially Luxembourg. It sure brightens up my complexion and makes me feel all sassy and shizz. Altogether I have 11 lip pencils, including the travel sized pencils within my Digital World Lip Coffret but I am absolutely besotted with them all and I'm looking to add more to my growing collection. What shades should I buy next? 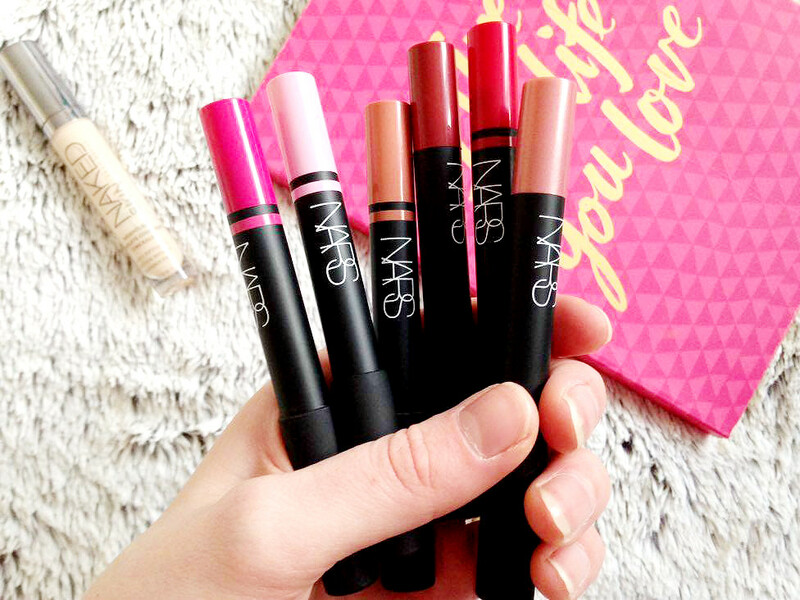 Have you tried the NARS Lip Pencils?